Lexus is one of the most popular luxury cars in the market. People don’t just buy this car for status. The car is also known for its reliability and fuel economy. However, just like other luxury cars, the repair costs involved with a Lexus can be extremely high. This is why it’s essential that you sign up for Lexus extended warranty. But what is Lexus warranty? And why should you buy an extended warranty? Read on to find out detailed information about Lexus warranty coverage including factory warranty, bumper to bumper warranty, and extended warranty. What Is Lexus Factory Warranty? Lexus factory warranty is offered by the Lexus Manufacturer on all new Lexus vehicles. The warranty starts on the day when the vehicle is first delivered to a customer at a Lexus dealer. Lexus offers five types of warranties to the car owners – basic warranty, powertrain warranty, Hybrid warranty, corrosion perforation warranty, and parts warranty. The Lexus bumper to bumper warranty covers almost everything that is between the front and back bumper of your car. The basic warranty covers repairs or replacement required to correct defects in workmanship and parts provided by Lexus. The warranty is for 50,000 miles or 48 months, whichever comes first. However, wheel alignment and balancing coverage is for 12,000 or 12 months, whichever comes first. Powertrain warranty covers repairs or replacement needed to correct defects in workmanship or parts of the engine, transmission, transaxle, front and rear wheel drive systems, and hybrid vehicle systems. The Lexus new car warranty for power train expires after 70,000 miles or 72 months, whichever comes first. The hybrid system warranty covers components of the Hybrid model, which include the Hybrid battery, control module, and inverter. This warranty is valid for 100,000 miles or eight years, whichever comes first. This Lexus new car warranty covers defective body panels that develop perforation due to rust. The warranty is valid for up to 72 months with no limit to the mileage. This warranty offers coverage for repair and replacement of defective parts made by Lexus. The warranty is valid for 12 months with no mileage limit. You should provide the original receipt of purchase or installation to claim the warranty. The warranty does not cover parts that are replaced during routine maintenance. Another important thing to note is the limitations for factory warranty. The warranty will not be valid in the following cases. A car with ‘salvage’ title under the state’s law. When the Lexus factory warranty expires, you have other options. You can opt for an extended warranty offered by third-party companies. 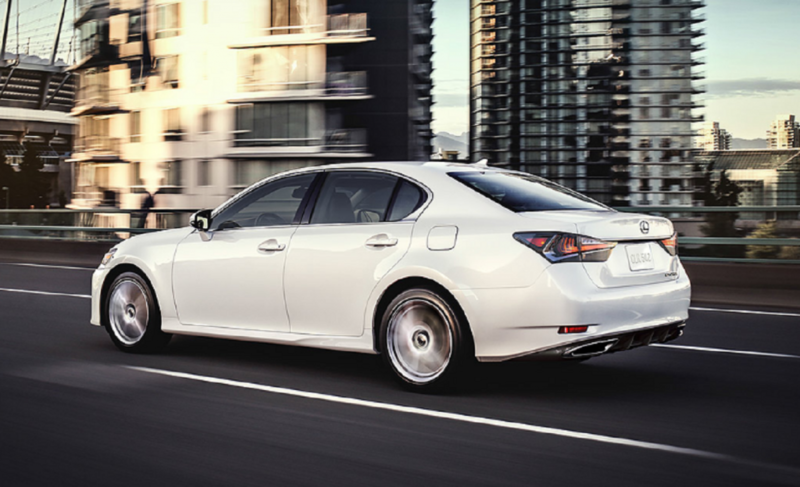 Is Lexus Extended Warranty Better Than Factory Warranty? Lexus factory warranty is often not enough. Most car owners continue to use the vehicle well past the manufacturer’s warranty. The warranty period generally expires a few years after purchase, and an extended warranty proves invaluable in this situation. Also known as a vehicle protection plan or vehicle service contract, an extended warranty will continue to provide coverage after the end of the manufacturer’s warranty. Most consumers opt for an extended warranty when the standard warranty is about to expire. An extended coverage provides protection for all parts and labors. The coverage is provided for unlimited mileage and period. A Lexus extended warranty typically provides more coverage as compared to a factory warranty. A manufacturer’s warranty is very limited. Many important repairs are not covered. Moreover, the factory warranty is limited to a certain amount. You may have to pay out of your pocket for most repairs. With a good extended warranty, you can rest assured that you won’t have to pay anything apart from the premium. The warranty provider will cover all the costs incurred in repairing the vehicle. A Lexus extended warranty will give you comfort in knowing that you won’t have to face unexpected repair costs. A third-party provider will cover all the costs of mechanical repairs. As cars become more technologically complex, the repair costs have increased. The cost of repairing a luxury vehicle such as Lexus is particularly high. Emergency breakdowns can put a dent on your budget. But with an extended warranty, you won’t have to face financial problems due to a major car repair. An extended warranty will offer protection past the factory warranty. An extended warranty is offered by third-party providers. So, unlike the case with a factory warranty, you can take your car to any certified repair shop in case of an emergency breakdown. You can give the mechanic your extended coverage membership card. The mechanic will relay the claim with the third party that offers the warranty. Signing up for an extended warranty will save you a significant amount in the long run. The premiums you pay for the extended warranty will be much less than the cost of repairs during the vehicle’s lifetime. The savings can be greater for a Lexus. The repair and maintenance costs of the luxury vehicle are particularly high — up to $5144. You can save a lot when you opt for an extended warranty. Most extended warranties are transferable to the new buyer, and the transfer fee is minimal. This gives assurance to the new buyer resulting in higher resale value. An extended value will become valuable as the vehicle ages. Cars with an extended warranty are considered to be of more value to the prospective owners. So, buying an extended warranty is a kind of an investment since it results in an appreciation of the car value. How Much Is Lexus Extended Warranty? Now that you know about the importance of a Lexus extended warranty, an important question is how much you will have to pay for the warranty. The cost of a Lexus extended warranty varies depending on the third-party provider and the type of coverage you select. For instance, CarShield offers 31 plans with different length and coverage. All third-party providers charge a premium for the coverage. Monthly premiums can be as low as $35 per month. The premiums can go up to $100 for comprehensive coverage. In addition, you will have to pay a processing fee when signing up for an account. The processing fee generally ranges between $50 and $100. A Lexus extended warranty is a must-have if you plan to keep the vehicle beyond the factory warranty. The warranty is an investment that limits the financial risks for a given time period. Before opting for an extended warranty, you should carry out your own research. You should evaluate your needs and select a coverage plan that best meets your needs. You shouldn’t get roped into buying an expensive plan. Avoid spending money on services that you won’t really need. You should find out exactly what will be covered in the plan. If the warranty provider says it offers full coverage, you should ask specifically what’s included in the full coverage. You shouldn’t go for the cheapest plan. Always look for value for money when selecting a Lexus warranty plan.